We've had the pleasure of working with an expansive medley of brands, councils, developers and organisations over our 30 year career. Here are just a few snippets of feedback we've received from our most exciting projects. “Working with the Wayne and Gerardine Hemingway has been an inspirational experience. 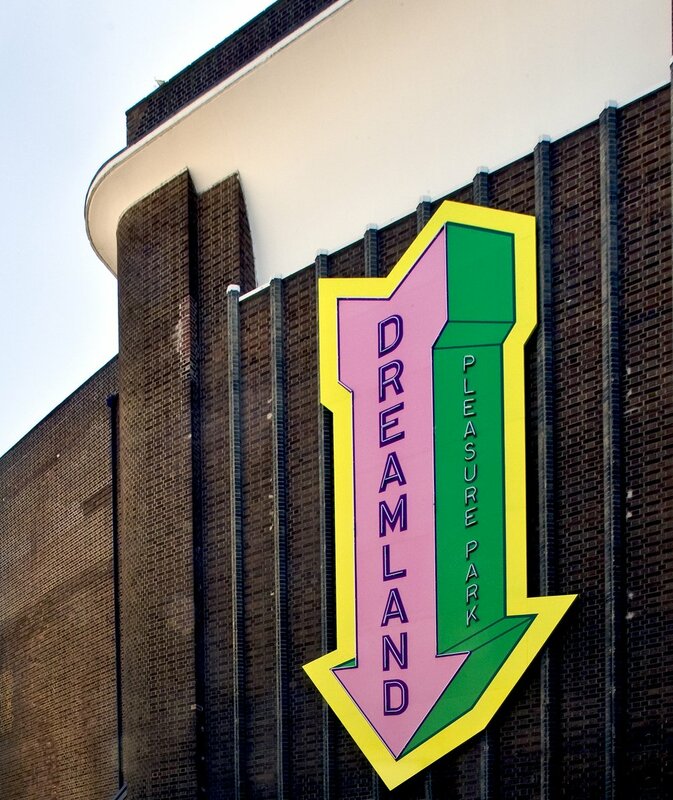 Having previously been aware of Wayne’s passion for the Great British seaside and knowing of HemingwayDesign’s commitment to high quality design, we approached them in 2007 with a unique project to breathe new life back into a derelict 1950s seaside building at Boscombe, Bournemouth. 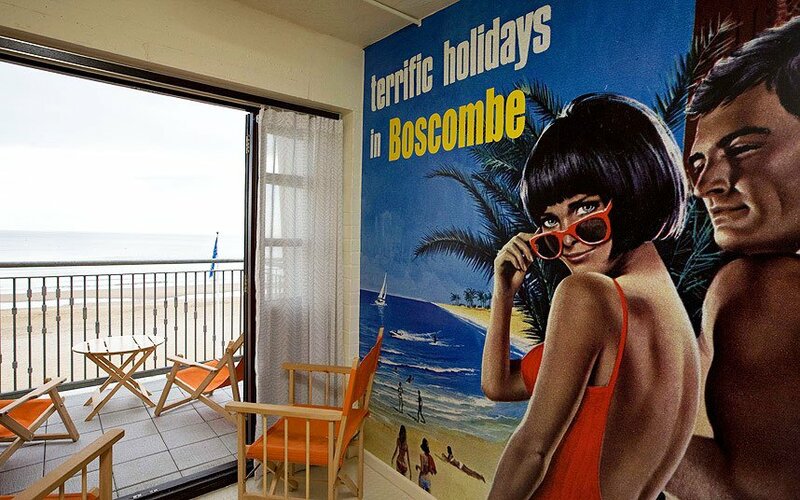 What emerged from that collaboration was the sensational Boscombe Overstrand building featuring 59 vintage-style Beach Pods, each with their own unique visual take on the classic British seaside holiday. The Pods, designed with families in mind, contain a range of practical features such as a kitchen unit, deck chairs, table, electricity and hot water supply – not to mention stunning balcony views over one of the UK’s best beaches. The Hemingways took a sensitive design approach, respecting the integrity of the building, and extended to design fit-out for public showers/toilets and signage across the building. The multi-million pound regeneration of Boscombe seafront has resulted in a 32% increase in visitor numbers and a massive increase in visitor satisfaction, whilst winning countless national and European awards for regeneration. “A consequence of this collaboration has been to raise Bournemouth Borough Council’s level of ambition and expectation of what can be achieved. The high profile attention generated by the Beach Pods has helped to put Boscombe on the map as a thriving centre for beach and water sports with a twist of bohemian chic. “Since 2008, the Hemingways have continued to work closely with Bournemouth’s Seafront Team, helping to judge an international design competition for the UK’s first beach huts designed specifically with disability needs in mind. The four completed huts – called ‘Seagull and Windbreak’ recently won a RIBA design award. In 2010 we decided to create a new line of 75 traditional wooden beach huts at Bournemouth. The Hemingways and Crown Paint joined together to develop a unique tonal colour pattern for the huts – called ‘sunrise to sunset’, reflecting the range of colours seen on the coast in different lights and seasons. The huts have since gone on to become an iconic symbol of Bournemouth’s seafront. 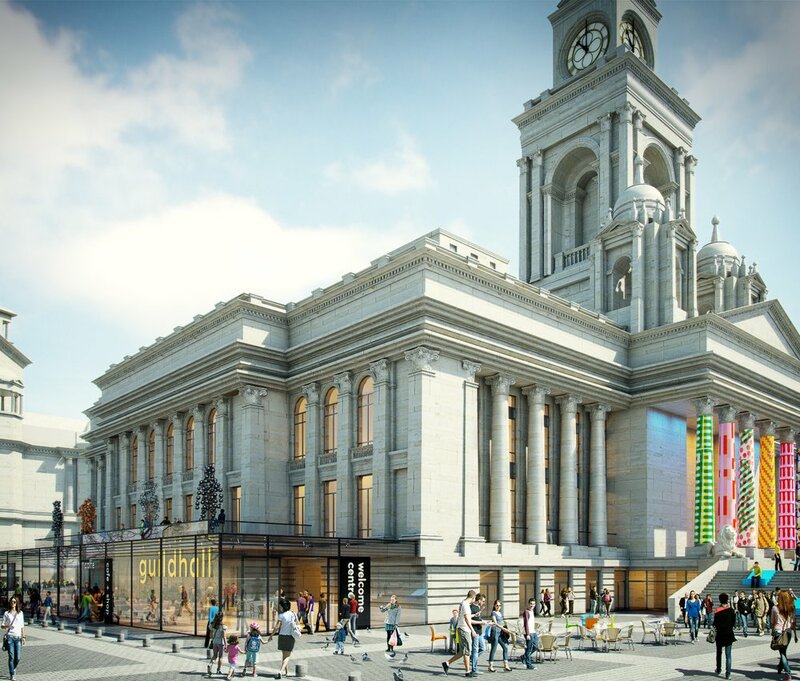 "We commissioned HemingwayDesign to create a visioning document for the refurbishment of Portsmouth Guildhall. Over a period of several months they worked with our Client Team including architects and the senior management to produce an excellent document. The Visioning Document is now the main reference point when presenting the design concept to all parties. We started a conversation with Wayne when we were deciding what to do with some unloved beach chalets that were looking sadly onto an otherwise stunning beach in Lowestoft. Having seen Hemingway Design’s projects at Bournemouth, in particular the Overstrand building, we felt that we might benefit from the same approach, and we invited him down to see the site. On a sunny day in February Wayne and Gerardine visited, walked the seafront and met some of the team from the council. From that day forward, the approach was one of creative collaboration. They have fostered an approach that is about allowing local voices and groups to contribute and to build momentum – with the council taking the role of facilitator, not asset owner. This approach has been extremely productive and very refreshing – both for local residents and people within the council. At every meeting and event, we have benefited from a dialogue with a team of people have made a living from working in design, and who have shared examples of what other communities such as ours have done to turn areas around. The team understand makes a place enjoyable to live in and visit. They have brought experiences developed over a lifetime – but have been rooted in what will work; what we can do now to make a small difference that will grow. In 2017 Unite Students undertook a significant office move with the purpose of providing a place of work that permitted our employees to work in an atmosphere where they would deliver a “home for success”. Part of this was ensuring safe and sound office ergonomics and functionality. The design of the premises optimised this by providing a variety of desk styles for people to work, thereby suiting their individual working requirements. This was supported by a blend of break out areas that were designed to permit a relaxed approach to their working day, including a provisioned eating area the ensured a break from the workstation. All of which has enabled a comfortable safe, relaxed but productive workplace. 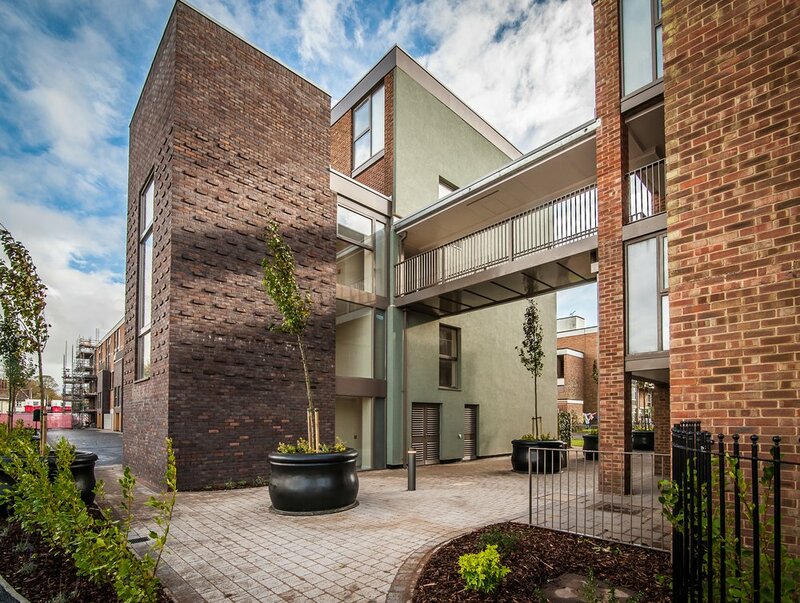 “Wayne Hemingway has shown exceptional commitment to regeneration in Gateshead for over seven years, working with the Council and with the community to leave a real legacy. His passion and drive contributed hugely to the South Bank housing development, which sets new standards for design quality and use of public spaces in an urban setting. He has followed this up by using his undoubted design skills to challenge the Council and developers alike, to raise their aspirations for development quality and provision for creativity in town centres and in the community. He has been instrumental in bringing forward a cutting edge town centre initiative to provide workspace for new creative businesses and has spoken about this nationally in the media. “Having worked with Hemingway Design previously, we knew that the team genuinely understands how design can have an impact on people, on how they feel and how they use their environment. For St. Modwen, a complex and multi-faceted company, we needed an approach that would allow real individuality and flexibility and bring cohesive, branded design into the business in a transformational way. We knew that Hemingway would think about – and approach - things in a completely different way, with a different perspective, which would deliver something truly innovative. "Middlesbrough Council engaged Hemingway Design as its partner in the creation and launch of a new place brand for the city. Hemingway Design led an approach that was creative and inclusive, engaging local residents and businesses to create a new narrative for our city and our people. The result is a place brand that truly reflects who we are and what we want to become and is a significant strand of our work to deliver both social and economic growth. "One of the biggest projects that I am overseeing is the roll out of a new uniform for all Transport For London [TFL] staff, which has been designed by Wayne Hemingway and the HemingwayDesign team. Previously there was no consistency in the uniforms across the different parts of the TFL network and research conducted by my team discovered that most people didn't remember staff wore a uniform beyond occasionally seeing people in hi-vis jackets. TFL wanted a uniform that was consistent – making it easier for customers to spot staff without being in your-face like theme park employees – but with coloured detailing that could be changed to match the network's various sub-brands. The brand is very very visible, but it's also got that London feel to it. It's that dark blue you see used on a lot of suits, but also with the brand popping up where you wouldn't expect to see, where it's on the cuffs, on the back of the neck and on zip-pulls. The uniform also had to be practical for a network where staff work in very varied temperatures, have to move around a lot. "The University of Warwick has worked with Hemingway Design on a series of projects looking at our student residences and a new concept for a long-stay staff hotel. Clearly they have brought high quality professional design advice, but that is what one would expect from any consultancy. Where we have been most impressed is with their continual focus on people – how will people react? How will people be affected? What are the social interactions? How can we stimulate conversation, learning, fun...love? "The HemingwayDesign team have been total professionals since the inception of the project to create a new uniform for London Buses, and latterly London Underground and the wider organization. The hemingwayDesign team took a great deal of personal pride, and time / patience to engage with a large percentage of our staff – as well as in depth discussions an negotiations with Unions. The employee engagement exercise undertaken by them resulted in a 75% plus awareness of the project with all staff, with a daily blog set up to keep everyone up to speed with developments. HemingwayDesign were very focused on the final outcome, whilst being sufficiently pragmatic to allow the final designs to flex and alter course to ensure the staff would wear them with pride as opposed mandated terms and conditions.